Like many New England states, Connecticut's history with the railroad dates back to the industry's earliest days. 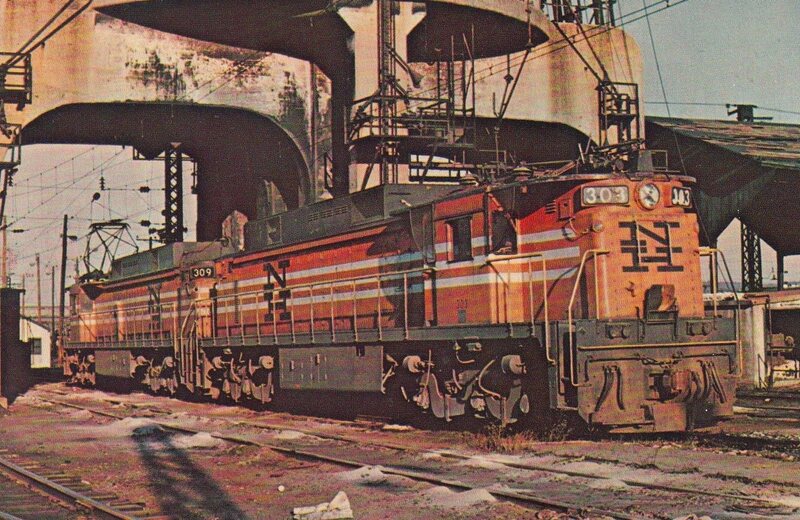 In the modern era it was served almost exclusively by the New York, New Haven & Hartford after that carrier acquired all of its competitors (notably the New York & New England and Shore Line Railway). Unfortunately, the loss of manufacturing after World War II meant there were far too many railroads serving an ever-shrinking customer base. As a result, considerable mileage was shed between the 1950's and 1980's (today, Connecticut contains about half its all-time high). 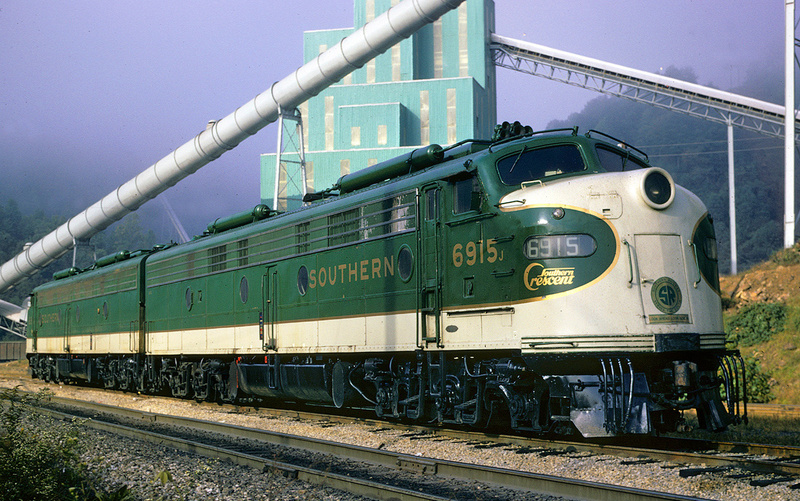 Today, the Constitution State offers a handful of train rides and museums which highlight its rail heritage. A few, highlighted in more detail below, include the Essex Steam Train (as its name implies this trip is pulled by historic steam locomotives), Connecticut Trolley Museum (offering visitors the chance to ride a classic trolley car), and the Naugatuck Railroad (provides a more traditional experience through the state's west-central region). Included below is information containing brief descriptions of every attraction currently found in Connecticut. Please note! 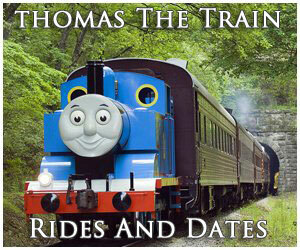 The this guide pertains only to train rides related to vacation and tourism destinations. If you are interested in intercity/long distance rail travel please visit Amtrak's website. 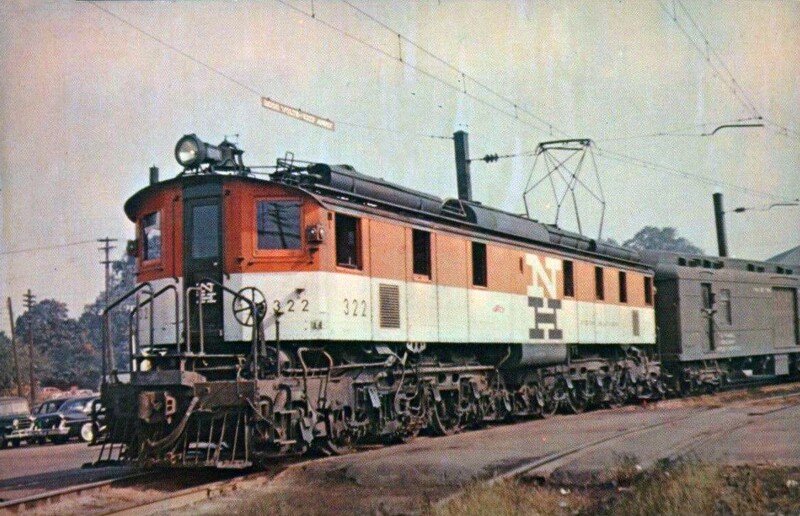 Railroading in Connecticut began with the Hartford & New Haven (H&NH), a system initially chartered in 1833 and which later became a founding component of the modern New York, New Haven & Hartford (New Haven). The H&NH was envisioned to link its namesake towns, a goal eventually completed in 1839. According to an in-depth analysis Trains Magazine published in its January, 2007 issue entitled, "Great Railroading: State-By-State," the first segment opened in 1838 between New Haven and Meriden. A number of different railroads would ultimately serve Connecticut although virtually all wound up as part of New Haven's far-reaching network linking Boston and New York (for more reading about this railroad please click here). 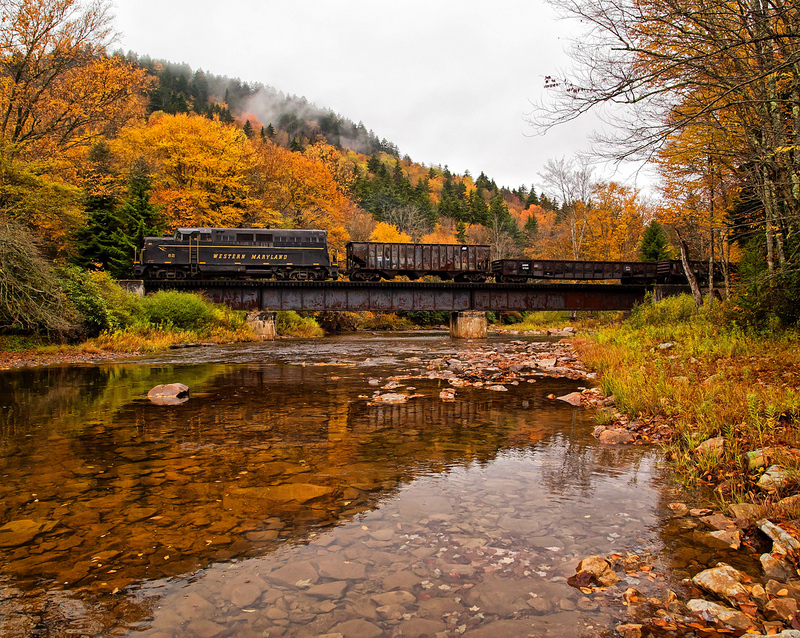 The state's only other railroad of significance was the Central Vermont Railway. With a north-south main line linking New London, Connecticut with St. Johns, Quebec the CV passed through Massachusetts, Vermont, and New Hampshire. It spent most of its corporate existence as a Canadian National subsidiary. Today, its former corridor is owned by the New England Central, a short line under Genesee & Wyoming's control. According to the book, "The Routledge Historical Atlas Of The American Railroads" by author John F. Stover, the state's mileage peaked at slightly over 1,000 during the 1920's. Today, according to the Association of American Railroads, this number has shrank to just 438 miles although Amtrak's busy Northeast Corridor hugs the southern coastline. This organization, located in Kent, preserves historical machinery of all types from steam to diesel powered equipment (cars, locomotives, engines, etc.). They also operate Tahoe, Trout Creek & Pacific (Hawaii Railway Company) narrow-gauge (3-foot) steamer #5 on a short segment of track. This locomotive carries a 2-4-2 wheel arrangement and was manufactured by the Baldwin Locomotive Works in 1925. After its work in Hawaii the little steamer bounced around from various locations out West, such as Stanford, California and New Mexico before winding up in Connecticut. The organization also contains two other narrow-gauge locomotives, both of which are display pieces only; Argent Lumber Company 2-8-0 #4 (manufactured by H.K. Porter in 1909) and Worcester Iron (American Steel & Wire) 0-4-0T #18 (built by the Vulcan Iron Works in 1917). The CERM, located in Willimantic, is based within the former New Haven's Columbia Junction freight yard. They are home to a large collection of historic rolling stock, locomotives, and buildings, which includes a replica roundhouse torn down in 1931 (this structure is complemented by an original 60-foot "Armstrong" turntable). The group also operates some equipment on the property, making trains rides available to the public. Their locomotive roster includes one steam locomotive (Colorado Fuel & Iron Company [American Steel & Wire] 0-4-0T #10, manufactured by Baldwin in 1934). The CERM was founded by the Connecticut Eastern Chapter of the National Railway Historical Society and opened in 1995. Their season lasts from the first weekend in May until the last weekend in October. The Connecticut Trolley Museum, based in East Windsor, highlights the region's history with interurban and trolley services, abandoned throughout the country many decades ago. The museum states it is the oldest such facility preserving the memory of traction railroads having been founded in 1940. Since that time the group has amassed an incredible collection of equipment (to learn more about the group please visit their website), which includes several freight and passenger cars. Other noteworthy pieces include a preserved New Haven section house from East Windsor. During their operating season between March and September (they are also open on select dates from October through December) train rides are offered aboard their restored trolleys, which operate on a short stretch of trackage on their property. If you have any interest in the subject of streetcars and interurbans a visit to this museum is a must. The Danbury Railway Museum, located in Danbury, is situated within the New Haven's former brick depot (completed in 1903). Depending upon your interest, you can see a variety of railroad artifacts on the grounds, from displays to an impressive collection of equipment which includes numerous diesel locomotives (a few of which are operational), Boston & Maine 2-6-0 #1455 (built by American Locomotive in 1907 this "Mogul" is a display piece), several passenger and freights cars, and a few self-propelled rail cars. They also provide short train rides known as the "Railyard Local" on the museum's property pulled by either and SW8 (Electro-Motive, RS-1 (American Locomotive), or a 44-tonner (General Electric). The season on these trips lasts from April through November with various special events also hosted. Arguably Connecticut's most popular train is the Essex Steam Train, hosted by the Valley Railroad. This attraction has blossomed into one of the most successful in the country offering a variety of different trips and specials, including riverboat charters. 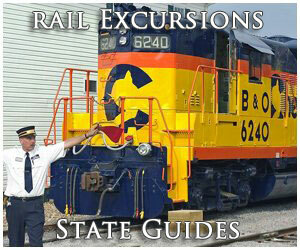 It is the state's only excursion using authentic steam locomotives, traveling a distance of more than 20 miles. The line currently utilized was a former New Haven branch and never a particularly busy corridor. It carried a largely secondary role of handling freight between Hartford and Old Saybrook. However, the NYNH&H did facilitate upgrades over the years, which once allowed for speeds above 50 mph. 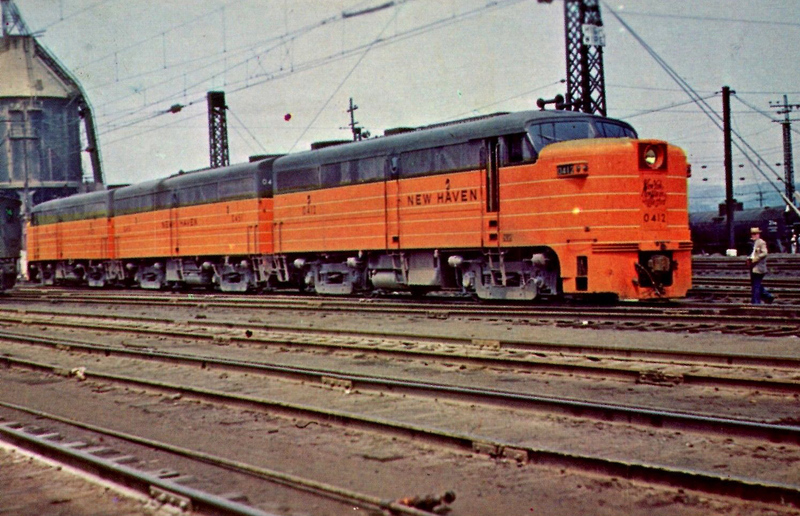 The New Haven went bankrupt in 1961 and ultimately wound up within the ill-fated Penn Central Transportation Company on January 1, 1969. Saddled with its own problems PC did not need or want the New Haven. One of many routes it shed was the Old Saybrook line, subsequently acquired by the state on August 15, 1969. Afterwards, Connecticut handed over operations to the Valley Railroad Company, largely a volunteer-effort, to lease and operate the moribund property beginning June 1, 1970. The new startup company officially began service in 1971. Operated by the Railroad Museum of New England the Naugatuck Railroad hosts excursions via a 20-mile round trip from its home base in Thomaston. The reborn company has been in operation since June 1995 and operates over much of the original Naugatuck system. 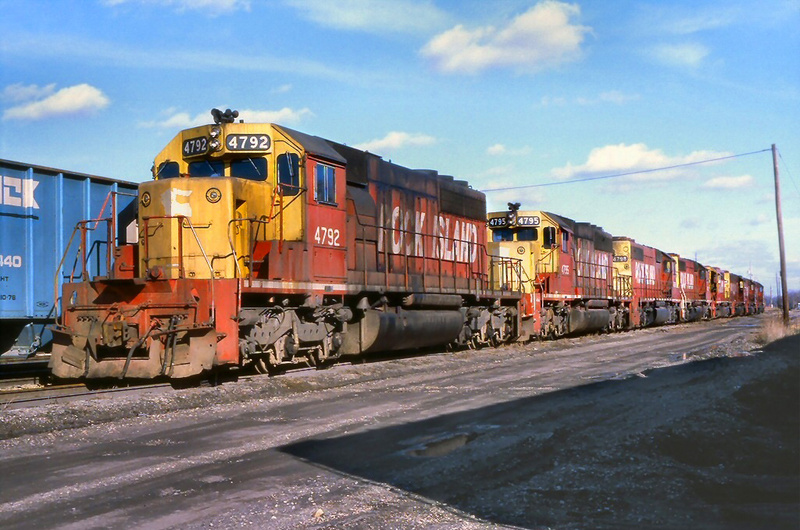 While the railroad could realistically haul freight again, if the opportunity beckoned, this is unlikely to occur. Trains are boarded from the restored Thomaston depot (a brick structure opened by the original Naugatuck Railroad in 1881). 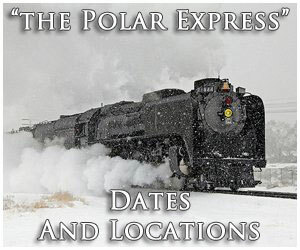 The railroad hosts numerous specials throughout the year including the Easter Bunny Express, a Mother’s Day Special, Haight-Brown Vineyard Express, Grandparent’s Day, a Father’s Day Special, Halloween Train, and Santa Express. 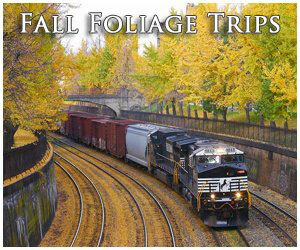 Their busiest month tends to be October when they not only operate Sundays and Tuesdays but also Saturdays for the popular fall foliage trips (in conjunction with the Halloween Train). This museum, based in East Haven, preserves the history of interurban and streetcar operations once prevalent throughout New England. If you would like to read more about interurbans a copy of Dr. George Hilton's "The Electric Interurban Railways In America," is a must! It was originally founded as the Branford Electric Railway Association (BERA) in August, 1945 and grew significantly when it acquired 1.5 miles of the Connecticut Company (ConnCo) between East Haven and Short Beach. This interurban/transit system stopped running this particular segment after March 8, 1947 and today, the trackage offers rides during the warmer months of the year. In addition, BERA has amassed quite a collection of preserved trolley/streetcar equipment, stating it has grown to become the third-largest in the country. Their primary focus is those operations centered around Connecticut and New York City. This unique museum, operated by the Western Connecticut Chapter, National Railway Historical Society is located in South Norwalk and based within the New Haven's restored interlocking tower that was constructed in 1896. It is still situated at its original location along the New Haven's "Shore Line" four-track, electrified main line. While colors of the NYNH&H have long since been replaced by that of Amtrak, one can still witness dozens of trains daily traversing this very busy stretch of railroad. While inside the building visitors can also learn just how such a tower once functioned to keep a busy junction or "interlocking" running smoothly and safely without accidents or incidents. The museum is open only on the weekends from May through October. Admission is completely free of charge.